When Whiting Writers’ Award winner Teddy Wayne published his critically acclaimed debut, Kapitoil, it was hailed as “one of the best novels of [this] generation” by the Boston Globe and was shortlisted for a spate of national prizes. Jonathan Franzen wrote in The Daily Beast that “no other writer, as far as I know, has invented such a funny and compelling voice and story for [this type of character. ]” Now, in The Love Song of Jonny Valentine, Wayne turns his sharp wit, flawless narrative ventriloquism, and humane sensibility to our monstrous obsession with fame. Poignant, brilliant, and viciously funny, told through the eyes of one of the most unforgettable child narrators, this literary masterpiece explores with devastating insight and empathy the underbelly of success in 21st-century America. The Love Song of Jonny Valentine is a tour de force by a standout voice of his generation. "It speaks well of both Jonny and his creator that the result is this good, a moving, entertaining novel that is both poignant and pointed — a sweet, sad skewering of the celebrity industry...his satirist's eye is impeccable...so limpidly does Wayne imitate the voice of a preteen celebrity, he risks making it look easy...to create out of that entitled adolescent voice a being of true longing and depth, and then to make him such a devastating weapon of cultural criticism — these are feats of unlikely virtuosity, like covering Jimi Hendrix on a ukulele...Embodying a character who might otherwise be easy to dismiss, Wayne has crafted a funny, affecting tour of our cultural wasteland...you’d have to be made of triple platinum not to ache for Jonny Valentine." "Sad-funny, sometimes cutting...more than a scabrous sendup of American celebrity culture; it’s also a poignant portrait of one young artist’s coming of age." "Switchblade-keen satirist Teddy Wayne. . .delves into the twisted world of celebrity culture with delicious, detailed insight. It's as if People magazine were written by Kurt Vonnegut, smart and fun and fanged... there are also great swaths of heart and pain and genuine compassion." "Heartbreakingly convincing...Hate Bieber? Wayne's touching portrait might change your mind." "It would be easy to simply satirize the life and times of an 11-year-old pop star. But while Wayne does riff on America's obsessions with youth, celebrity and weight, among other things, he chooses to take his hero seriously….If Justin Bieber provides the book's cultural context, "The Adventures of Huckleberry Finn" gives it its soul…. [An] entertaining novel about the pop-celebrity-Internet air we all breathe, even if we don't want to inhale." "Heartbreaking and amusing...more than anything, Jonny reminded me of Jack, the 5-year-old captive narrator of Emma Donoghue's Room. Like Room, this novel takes a sordid tabloid situation and illuminates it with a child's voice so real you want to climb inside the book and rescue him." “Harrowing, hilarious…It's less a coming-of-age story than a price-of-this-age story, where self-promotion is the equivalent of self-preservation. 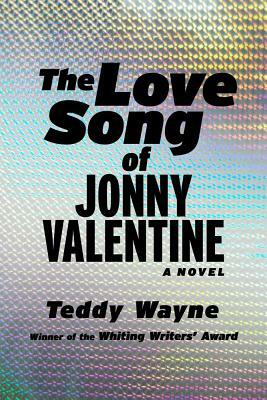 In The Love Song of Jonny Valentine Wayne manages to negotiate a character so original, so multitextured, and teetering so precariously between innocence and emptiness, the result is a stunning achievement in literary zeitgeist." "Few novels with child narrators can truly appeal to adults in a complex way. Flannery O’Connor’s The Violent Bear It Away and, of course, Harper Lee’s To Kill a Mockingbird are obvious exceptions, and we can add this novel to the list." "Provocative and bittersweet…Jonny is such an engaging, sympathetic character that his voice carries the novel...A very funny novel when it isn't so sad, and vice versa." "Hilarious and heartbreaking...An original, poignant and captivating coming-of-age story...a breathtakingly fresh novel about the dark side of show business." "Laid out in a surprisingly poignant mix of cynicism and innocence, Wayne intertwines both Jonny and Jonathan's voices into a sublime plot, making it an unconventional coming-of-age story that digs beneath the glossy veneer of mainstream pop."